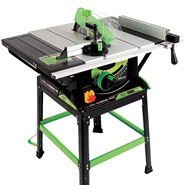 Advanced performance; out performs normal saws. When cutting Steel, it leaves an instantly workable finish, producing no heat, no burr and virtually no sparks. Quick-clamp rip fence, with magnifying glass, is solid and sturdy in every position for essential cutting security. 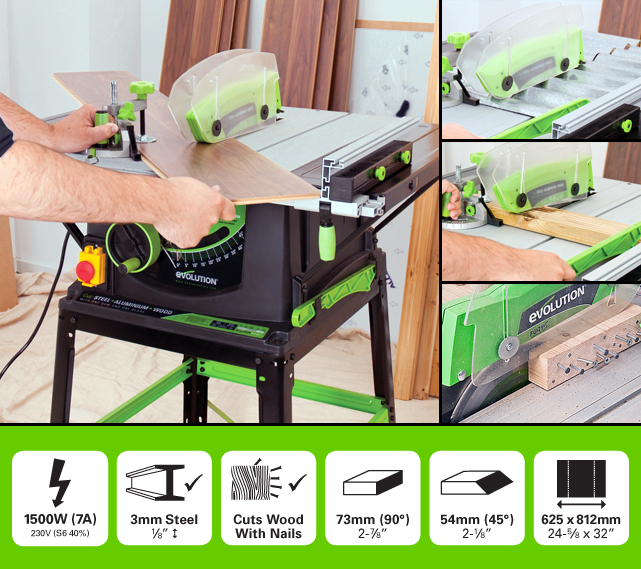 Accurate cutting performance with easily adjustable cutting height and bevel. Features steel extensions (left & right); ideal for large workpieces and sheet materials. Also equipped with mitre gauge; perfect for making precise cross cuts. Extremely safe operation with protective blade guard. 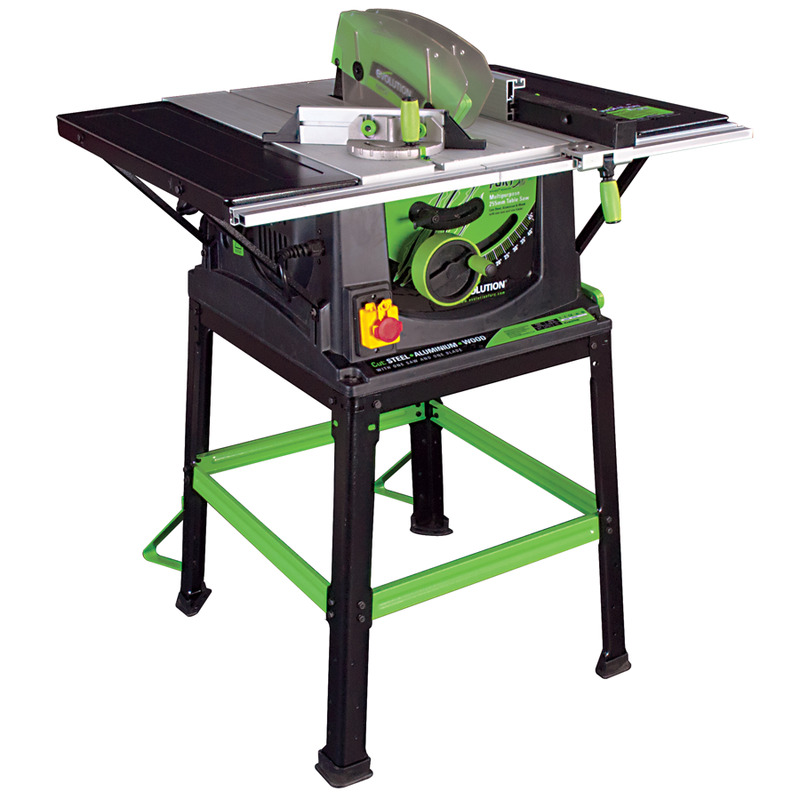 Also features anti-bounce device which minimises movement in material when cutting. When you can buy a FURY5® Multipurpose Saw.